Dr. Shah received her Bachelor Degree in Dental Surgery from the Government Dental College and Hospital in Ahmedabad, India in 1984. After coming to the U.S. she earned a Doctor of Dental Surgery Degree from the University of Detroit Dental School in 1989, and completed her residency in pediatric dentistry at Children’s Hospital of Michigan in Detroit in 1991. Dr. Shah is currently on staff at St. John Hospital and Medical Center in Macomb Township and Children’s Hospital of Michigan, Detroit to serve our patients in need of general anesthesia for dental work. She is a Diplomate of the American Board of Pediatric Dentistry. Dr. Shah has served on The Michigan Academy of Pediatric Dentistry’s public relations and examinations committees. 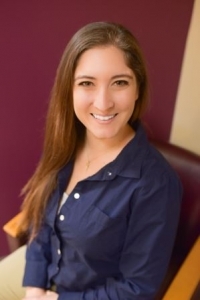 Dr. Natalie Datien graduated from the University of Detroit Mercy School of Dentistry in 2013 then finished a fellowship in Public Health and Pediatric Dentistry at The Ohio State University College of Dentistry in 2014. She completed her specialty training in Pediatric Dentistry from Metro Health Medical Center in Cleveland, where she was appointed chief resident in her second year. She remains an active member of the American Academy of Pediatric Dentistry, the Michigan Academy of Pediatric Dentistry, the American Dental Association, and the Michigan Dental Association. 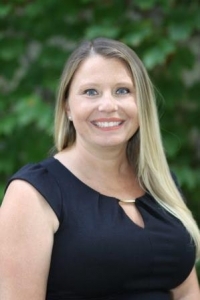 As an American Board of Pediatric Dentistry certified practitioner, she has vast experience in “no memory” dentistry and special health care needs dental treatment. Every appointment is a fun and exciting appointment for Dr. Datien! She does all she can to insure her patients have a wonderful time and enjoy their dental appointment. She enjoys singing during exams and treatment, and believes every patient is a new friend. Dr. Burke earned her Doctor of Dental Surgery Degree in 2015 from the University of Detroit Mercy. She completed a one year Advanced Dental Education program at the University of Detroit Mercy and St. John Providence Health Center in 2016. At the University of Michigan, she received her Master of Science in Pediatric dentistry in 2018. In her free time, she enjoys spending time with her three children, husband, and dogs. She also enjoys hiking and fishing. A dental hygienist must complete a two year, full time dental hygiene program from an accredited community college or a university to obtain a certificate in dental hygiene. A hygienist must pass a clinical exam and a written exam to be licensed in the State of Michigan. Our hygienists are exceptionally skilled at interacting with children of all ages. Our support staff is comprised of one office manager, front desk or business staff and our treatment coordinators or dental assistants. We are very proud of all our staff members who assist in the treatment of your child.